Business class apartment in the center of Moscow and a quiet side street! In 4 minutes. From the metro Teatralnaya. 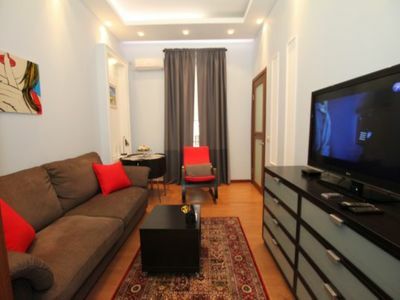 The apartment is made with quality European-quality repair, two bedrooms! Developed infrastructure: cafes, restaurants, theaters, Red Square and the Bolshoi Theater in 5 minutes on foot! The famous pedestrian streets Kuznetsky Most and Kamergersky Lane, famous architectural monuments are located nearby.